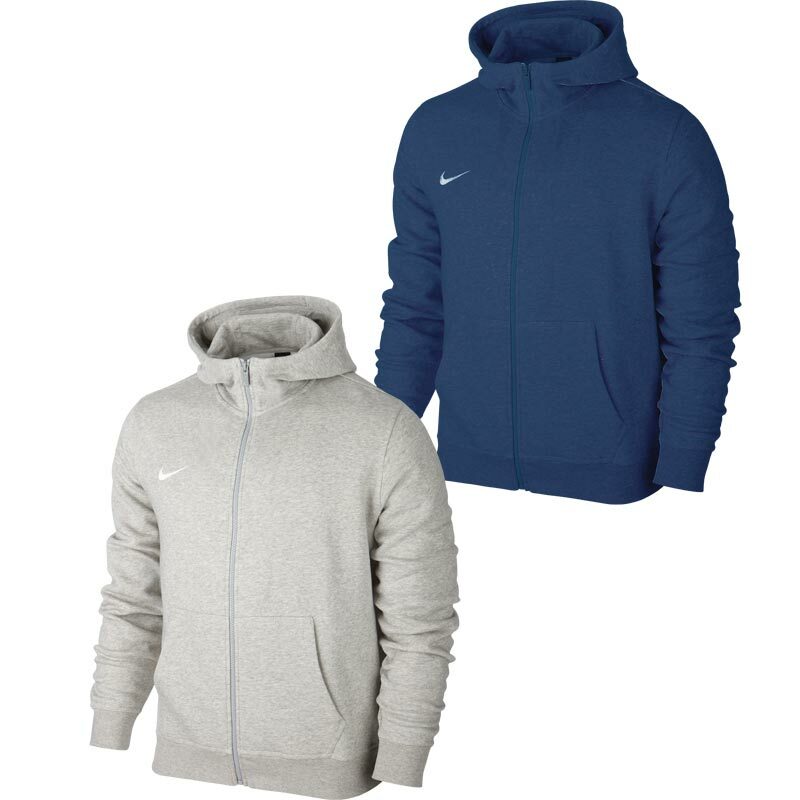 Nike ® Team Club Full Zip Junior Hoodies ideal for those cold training mornings. Split kangaroo pocket for easy of access. Full zip design with hood. Fabric: 77% cottong/23% polyester fleece. Children's sizes do NOT have a drawcord in the hood. Great quality product at great price. Comfortable stylish and seriously warm. Perfect combo of lightweight, comfortable and durable. It helps that it also looks great! Especially with our football club logo. I bought a small size but the hoodie still looked great. And the fact that my top underneath didn't get all black threads on top of it was even better as most new jumpers you were, you start to get threada on the top your wearing underneath. I would like to recommend this product to everyone in need of a jumper. Bought this for my 8yr old son who wanted a plain red hoody - surprisingly difficult to find one with no images etc . So far so good, it's a great fit and good quality. Washed once and seems to be fine with no shrinking. Pleased with the standard of the product. Already have the over the head one in same colour. Sizing smaller with zip up but this was not a problem as Newitts changed it. Very speedy delivery and great customer service. Would recommend. This is a good quality hoody that fits as it should for the sizing. Good value for money as can be expected from a Nike product.